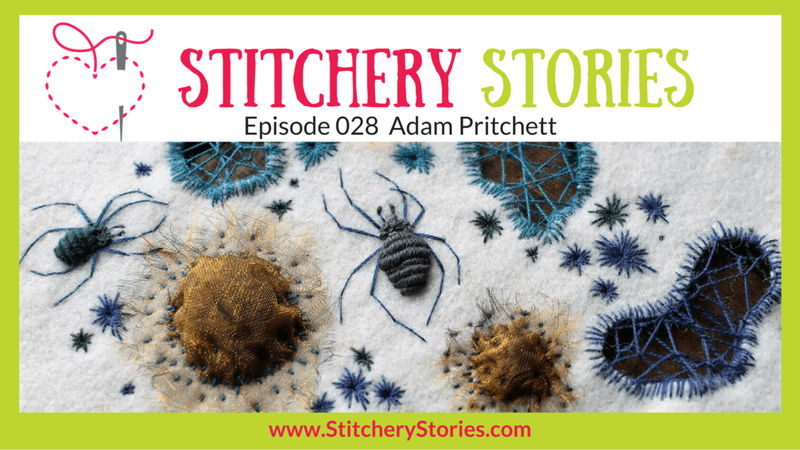 I had the honour of being asked on the fab textile art podcast, Stitchery Stores, with the lovely Sue a few weeks ago and my episode is now available to listen to! I'll put an embedded player on this post so you can listen to it hear if you like, or if you want to subscribe to the podcast on your chosen method of listening to them, you can. Just click the link to the main web page to download the episode. It was a pleasure chatting to Sue, and unusual for me as I rarely like to talk/listen to myself recorded if I can help, so there was an element of stepping out of my comfort zone. But hopefully everything I said made sense, and I didn't say anything daft! If my interview doesn't draw your interest, Sue has lots of wonderful artists in her archive of past interviews, so check 'em out!